Mustard oil, commonly known as sarson ka tel, is a vegetable oil extracted from seeds of the mustard plant. Intricately interwoven in the Indian culture, this oil dates back to Roman times, not only as a cooking option but a medicinal one as well. Looking back, mustard was the only cooking oil used in many Indian kitchens. Mustard and its oil is used as a spice, condiment, herb, cooking oil and medicinal agent and has been referenced several times since 6th Century BC in various historical scriptures. Mustard oil was very popular in the Indian subcontinent and was an integral part of our cuisines. Mustard Oil to Indian cooing was what Olive Oil is to the Mediterranean diet. Mustard oil's well-recognised flavour comes from its content of allyl isothiocyanate. Much like coffee beans are known to revive our sense of smell, mustard oil too has a similar effect owing to its very distinct smell. As seasoned chefs and everyday cooks tend to sniff kitchen ingredients before they use them, a whiff of mustard oil awakens their sense of smell, making it easier for them to identify a variety of fragrances, like the special smell of Indian spices. 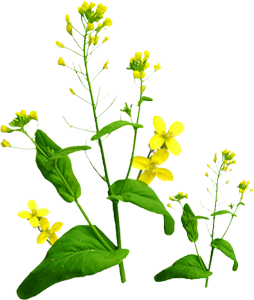 Mustard plants belong to the family of Brassicas, which also include turnips, cabbage and other vegetables. Its flavour thus comes from the chemical concoctions it shared with the other members of the Brassicas family. 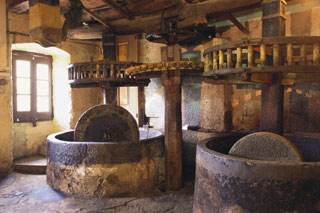 Refined mustard oil is extracted by pressing mustard seeds. It has a pungent taste and is traditionally one of the most commonly used cooking oils. Refined oil can be made from black, brown or white mustard seeds. 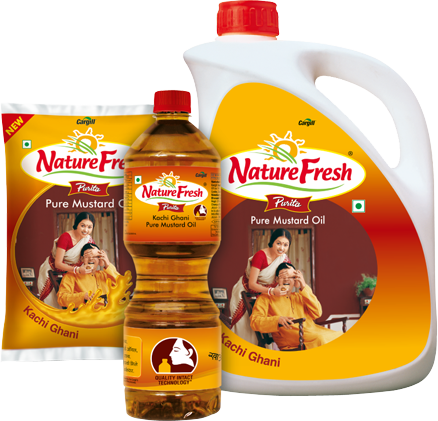 Grade I Mustard Oil, more commonly known as Kachchi Ghani, is raw mustard oil in its purest form. It is extracted by grinding high quality mustard seeds, thus retaining the natural properties and antioxidants of mustard that are extremely beneficial for health. This is why Kachchi Ghani is considered by some as India's Golden Oil. Extremely rich in flavour and taste, Kachchi Ghani has the natural colour of mustard and is clear and transparent. The stronger its pungency, the purer and healthier the oil. Not used for edible purposes, Grade II Mustard Oil is obtained by pressing mustard seeds and is mostly used for therapeutic purposes. Are Mustard Oil and Canola Oil versions of each other? No, they're totally different oils altogether. Mustard and Canola plants are similar vegetables whose mustard and rapeseeds are used to extract their respective oils. In botanical terms, both these plants belong to the brassica family, viz. mustard seeds come from brassica juncea, while rapeseeds (canola) are from brassica rapus. Physically, mustard oil has a strong taste and aroma, and is used for frying, pickle making, type of dressing for salads and vegetables, whereas canola oil is much milder, and is used for baking to stir-frying to deep-frying or grilling. Is Kachchi Ghani a good alternative to Extra Virgin Olive Oil? Kachchi Ghani and EVOO both have extremely strong, bold flavours; Mustard oil being slightly spicy, and Extra Virgin Olive Oil being fruity. When it comes to Health benefits, both these types of oils have almost the same percentage of saturated fats- the bad fats. Amongst the good fats, EVOO has more monounsaturated fats and Mustard Oil has more polyunsaturated fats. They're thus balanced out. Grade I Mustard Oil, or Kachi Ghani, has a much higher smoke point than Extra Virgin Olive Oil. Thus, while EVOO is perfect for light cooking like salads, appetizers and starters like pasta or bruschetta, mustard oil is ideal for deep frying, a method of cooking used quite commonly with Indian cuisines, as well as making pickles. Thus, Mustard oil can be used for everything EVOO can, but not the other way around.